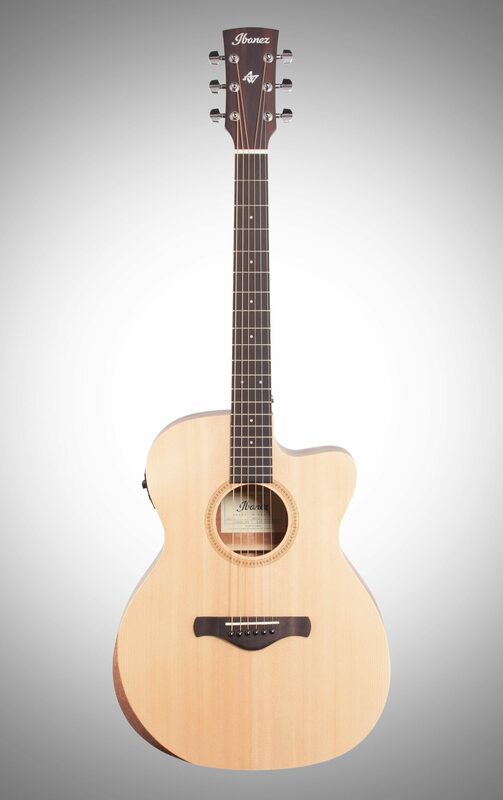 The Grand Concert body shape of the Ibanez AC150CE, along with the solid Sitka Spruce top, delivers player comfort along with an enormous frequency range that offers wave after wave of shimmering highs along with tight mids and a full-bodied low end. 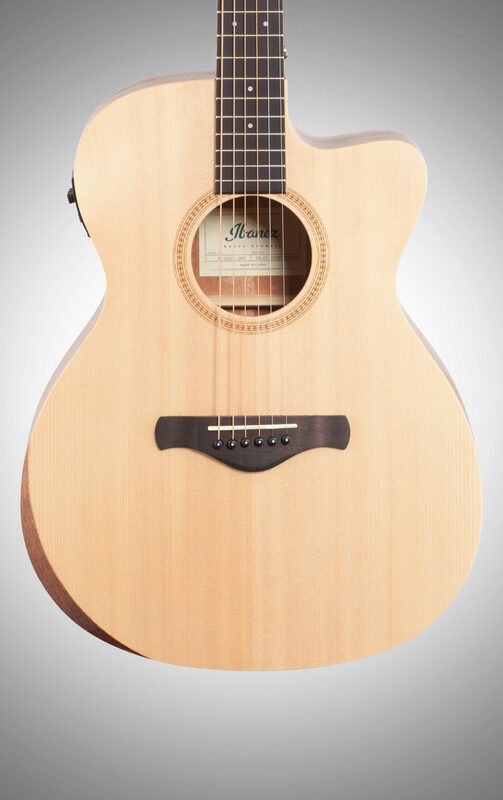 The guitar•s full sound is the result of using a solid spruce top with Okoume as a back-and-side material. The elbow contour of the body provides increased playing comfort. 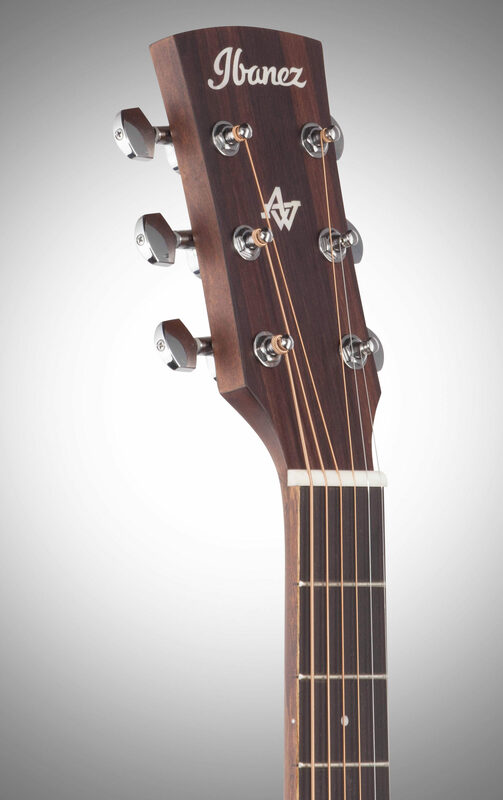 The Ibanez T-bar under-the-saddle pickup equalizes the volume from each string and delivers a well-balanced signal, while the Ibanez AEQ-TP2 preamp provides the extra punch of an on-board EQ. 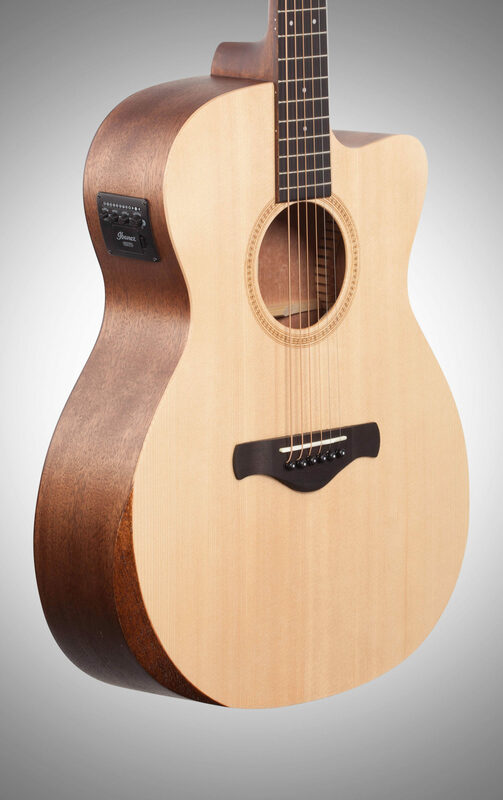 Artwood models also boast a convenient, easy-to-read digital tuner located on the upper bout. The bone nut and saddle were chosen for their ability to transfer string vibration naturally. 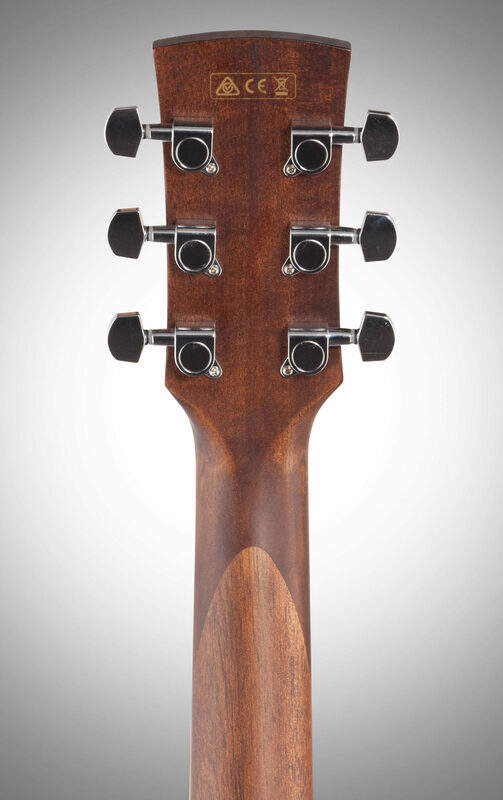 Ibanez Chrome open gear tuners ensure smooth and stable tuning. 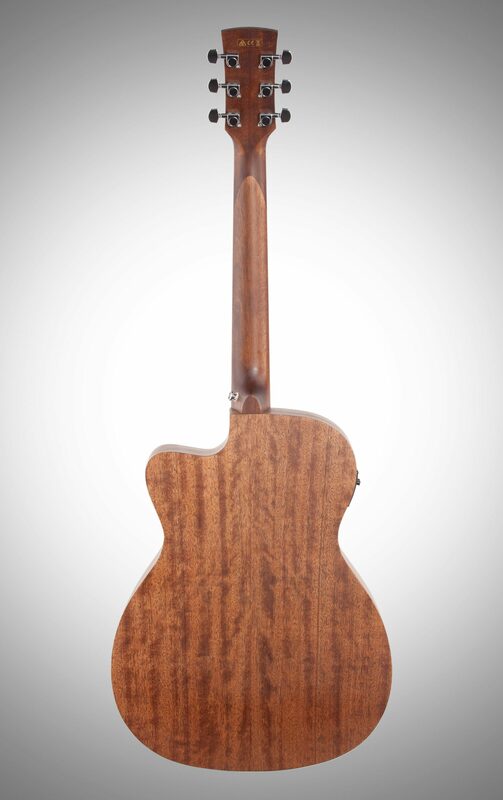 The Artwood series is the embodiment of what might be called the Ibanez modern approach to tradition. 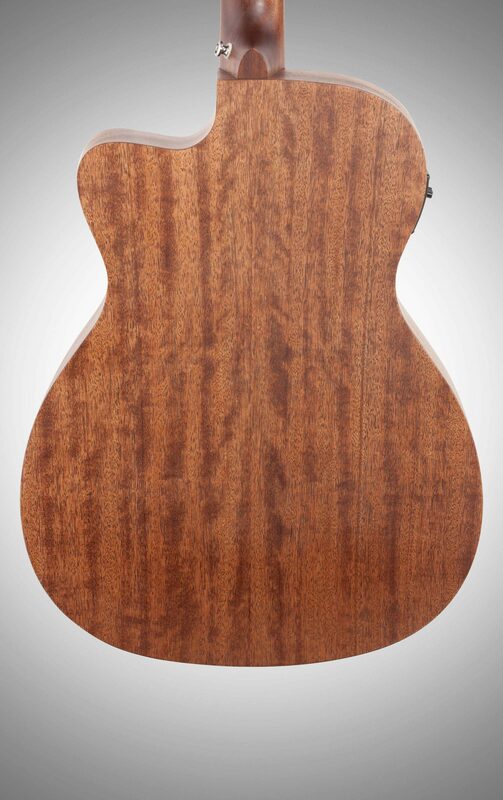 Cutting-edge woodworking technology enables Ibanez•s luthiers to reproduce the sophisticated bracing techniques of one-of-a-kind instruments of yesteryear. 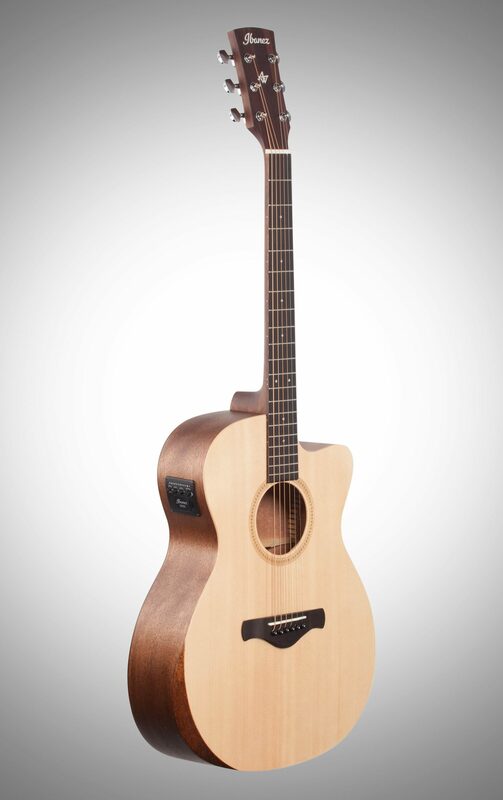 While tradition is obviously the hallmark of the Artwood series, Ibanez•s decades-long search for the ultimate in acoustic tone has contributed to design alterations that give Artwood a voice all its own.